"What is clear at any rate: the financing [of imams] by foreign actors must stop." — Jens Spahn, Deutsche Welle. "The message that 'If you reach a Greek island, you will be in Germany in six days,' not only encourages refugees from Syria, but also many people in Bangladesh and India. No country in the world, and no European Union, can withstand that if we give up control of our external borders." — Jens Spahn, Die Zeit. "To anyone who makes their way to Germany, it must made be clear that their life here will be very different from that at home. They should think carefully about whether they really want to live in this western culture." — Die Welt. Chancellor Angela Merkel has sparked a mutiny from within her own party over a controversial coalition deal that allows her to remain in office for a fourth term. The deal, in which Merkel agreed to relinquish control over the most influential government ministries, has led a growing number of voices from within her Christian Democratic Union (CDU) to say — publicly — that it is time to begin looking for her successor. In a prime-time interview with ZDF television on February 11, Merkel, already in power for 12 years, rejected the criticism and insisted that she will serve another full four-year term. "I ran for a four-year term," she said. "I promised those four years and I'm someone who keeps promises. I totally stand behind that decision." Merkel, who has been called the "Teflon Chancellor" because of her political staying power, may indeed manage to eke out another four years in office, albeit in a much-weakened position. Her decision in 2015 to allow into Germany more than a million migrants from Africa, Asia and the Middle East sparked a mass defection of angry CDU voters to the anti-immigration Alternative for Germany (AfD), now the third-largest party in the German parliament. As a result, in Germany's inconclusive election in September 2017, Merkel's party achieved its worst electoral result in nearly 70 years. The coalition deal, reached on February 7 between her center-right CDU, their Bavarian partners, the Christian Social Union (CSU), and the center-left Social Democrats (SPD), must still be formally ratified by the SPD's 460,000 rank and file members in a postal vote that begins on February 20. The outcome of that vote will be announced on March 4. If the coalition agreement is not approved, Merkel may attempt to form a minority government, or German President Frank-Walter Steinmeier may call fresh elections. Either way, Merkel likely will face growing pressure to step aside. A poll published by Focus on February 17 found that German voters are increasingly growing weary of Merkel. Nearly half (47.2%) of the respondents said that Merkel should step aside during the next legislative period; 38.5% said Merkel should to complete the full term. The jockeying to succeed Merkel has intensified in recent days. At least half-a-dozen people are said to be in the running to assume leadership of the CDU if Merkel steps down. A top contender, according to German political commentators, is Jens Spahn, a 37-year-old openly homosexual Roman Catholic with a reputation for straight talk. One of the rising stars of CDU's younger generation, he is viewed by many as a possible future chancellor. Spahn, who hails from Ahaus, a small town near the German-Dutch border, was elected to parliament at the age of 22, before he was graduated from university. As deputy finance minister since 2015, he has been a vocal critic of Germany's healthcare and pension systems because of the massive financial burden they impose on future generations. Spahn, a politically incorrect "liberal-conservative," appears determined to reverse some of the CDU's leftwards ideological drift, which occurred under Merkel's leadership. He has accused the CDU of being "too accommodating of a liberal elite that has become convinced of its own moral superiority." He has also said that he wants to win back disgruntled CDU voters who defected to the AfD. Merkel may try to thwart Spahn's ambitions in retaliation for his public criticism of her policies. Spahn does not, however, appear easily intimidated. The following is a brief compilation of Spahn's stated positions on issues related to Islam, immigration and integration. Spahn has said that Germany needs an "Islam law" to regulate Muslim religious communities and ensure that what is being preached in mosques around the country is "transparent." He cited Austria as a precedent: "The Austrians have had an Islam law since imperial times and things there function better. We could learn from them." Spahn has called for German language tests for imams, saying that many of the preachers who deliver sermons in German mosques come from abroad, cannot speak German and are paid by other countries: "Do we really know if their sermons are being made in accordance with our laws? And it's about more than that. Is it enough, just to ask that they don't break the law? Should they not encourage cooperation and integration?" Spahn has demanded that mosques be registered, saying that authorities "do not know how many mosques there are in Germany, where they are or who finances them." In addition, Spahn has called for the training of imams, teachers of religion and counselors to be paid for with taxpayer money. "That will be a hard debate, but I would rather we finance this than that the money comes from Turkey or Saudi Arabia," he said, noting that a "church tax" for Muslims was also a possibility: "If the Muslim communities want a tax law, we should talk about it." He added: "What is clear at any rate: the financing by foreign actors must stop." Spahn has criticized Christian churches in Germany, accusing them of being "uncritical" with respect to Islam. "A friendly photo of fast-breaking, then each goes their own way; it can't go on like that." "Germany's dominant culture and lifestyle has become a lot more liberal in the last 10 years, whether you are looking at gays and lesbians or at immigration. But my biggest fear is that this new openness is under pressure—from a very conservative form of Islam and a rightwing backlash against immigration—and that we will have to fight very hard to preserve it." Spahn recently asked: "What is our relationship to Islam? 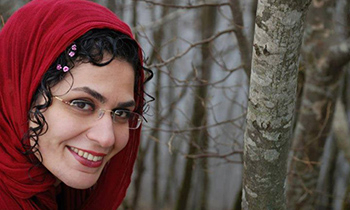 I would like to turn this question around: what is the relationship of Islam to us?" Spahn has repeatedly criticized Merkel's open-door migration policy. He has described Merkel's failure to control mass migration as "a kind of state failure." "The protection of the EU borders is in the EU treaties. What Orbán is doing at the EU's external borders is EU law, whether that pleases you or not. The message that 'If you reach a Greek island, you will be in Germany in six days,' not only encourages refugees from Syria, but also many people in Bangladesh and India. No country in the world, and no European Union, can withstand that if we give up control of our external borders." "For me what is decisive is that those who come here, understand, above all, that the values of the western world, this freedom, these basic principles, are different from those in Afghanistan, Syria, China or Bangladesh and that our society is therefore different. "In essence, it is not only a matter of living by and recognizing the rules, but also of feeling that you belong to a community with a common future." Spahn told Die Welt: "To anyone who makes their way to Germany, it must made be clear that their life here will be very different from that at home. They should think carefully about whether they really want to live in this western culture." In an interview with Stern, Spahn said that German immigration policy must be revised: "Let us formulate common expectations for those who want to be part of our society, and then ensure that those expectations are complied with." Spahn told Der Spiegel: "To anyone who considers our open society to be corrupt and effeminate, or who wants to live in a theocracy, I simply say: go and find another country." Spahn has attacked those on the political left who, he said, have sought to justify honor killings and forced marriages as being culturally determined. "Anyone who does not allow his daughter to attend school must know that in the future the girl will be picked up at her home by government agencies and brought to school. If children are persistently truant, welfare benefits should be cut. We have not been consistent enough in the past, and this misunderstood tolerance has always been to the detriment of the children." Spahn has called for punishing repeat offenders with tougher penalties: "The biggest problems we have with the lack of willingness to integrate is with migrants from the Arab region—unfortunately also in matters of crime." Spahn has called for a burqa ban: "A ban on the complete veiling, of nikabs and burkas, is overdue, even as a signal to the world." He added that men who force their wives to wear the Muslim full veil are "wrong" to be in Europe. "I do not want to see a burka in this country," he said. "In this sense, I am a burkaphobe." On a television talk show broadcast by ZDF, one of Germany's main public broadcasters, Spahn said: "It is not particularly enriching to drive through streets where I don't see any women, and if I do, they are wearing headscarves." Spahn has repeatedly warned that Germany is "importing" anti-Semitism from the Muslim world, where, he said, the hatred of Jews is an "omnipresent part of everyday life." In an interview with Der Spiegel, said that Muslim immigrations were responsible for a resurgence of anti-Semitism in Germany: "Let's not fool ourselves: immigration from Islamic countries is changing the climate in our country." Spahn denounced pro-Palestinian demonstrators who in December called for the murder of Jews and burned Israeli flags at the Brandenburg Gate to protest the U.S. recognition of Jerusalem as the capital of Israel. "Burning the Star of David in front of the Brandenburg Gate is unacceptable, whether by right-wing extremists or Arab fanatics. The response from our government must be resolute." He added: "We have been ignoring imported anti-Semitism for too long with shrugs of misunderstood tolerance." Spahn appears to harbor no illusions about Palestinian nationalism. "Israel uses weapons to protect its civilians, Hamas uses civilians to protect its weapons," he wrote in a tweet. Spahn has criticized the SPD for stirring up "cheap resentment" against the United States: "I find it impossible that [Foreign Minister Sigmar] Gabriel and [SPD chancellor candidate Martin] Schulz constantly show our American friends the middle finger." He said that the SPD's treatment of the United States, Germany's closest ally, was "irresponsible" and added: "There are transatlantic traditions that a Foreign Minister should not trample on." He also accused Schulz and Gabriel of setting "completely different standards" with regards to U.S. President Donald Trump and Russian President Vladimir Putin. Spahn, who has said that politics are part of his genetic makeup, recently visited an elementary school in his electoral district, where a fourth-grader asked him: "Do you want to be chancellor one day?" Spahn replied: "Let's wait and see. I enjoy being part of making fundamental decisions. We'll see what jobs might await." If Germans and other western Europeans start feeling protected by their governments and receive the right to protect themselves from islamic criminals then, and only then, we'll see the light at the end of this islamic tunnel. Until this happens, the population will continue being suppressed by the liberal islam appeasing policies and islam will keep establishing its rules. Spahn shows as a leader, who he can potentially become an example for the whole West assuming he is supported by his party and certainly assuming he is not murdered by the followers of Mohammed like many others. 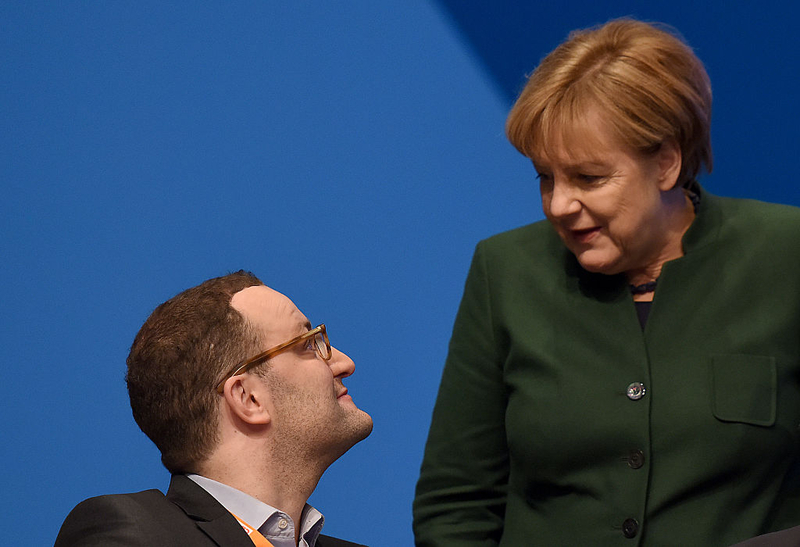 Jens Spahn established himself as a spokesperson of his party's right wing - which surely makes him a prime target for another of Merkel's political character assassinations which she committed so frequently with ANYone challenging her in the past. While showing not the slightest empathy for her citizens or even her own party, as recent coalition talks showed, she had proven plenty of times how pig-headed, ruthless and rampant she reacts when it comes to clinging on to power, no matter at which cost. This is what most people totally underestimate and in that respect she is by far the most dangerous political leader in the Western hemisphere right now. The other problem is that there are too few like Spahn coming forward way too late. At the end of the day it will always be Merkel who prevails since she still has the majority of the party's key figures either directly depending on or strictly adhering to her. Also despite rumors of a revolt within her CDU against the disastrous coalition deal struck she (yet) hardly faces fierce public criticism by mainstream media outlets. There is still no indication for any shift within the administration or even her party as long as she remains Chancellor, whether on a political or personal level. Even in the unlikely event of Spahn overcoming Merkel he will unlikely overcome the administrative and legal institutions who are vastly undermined and run by the political left and even Islamic organizations, with latter adhering to Turkey and Middle Eastern theocracies. Even someone like him won't establish the drastic measure necessary of permanently detaining hundreds of thousands of illegal migrants until they can get deported. Spahn is a breath of fresh air as opposed to the smothering PC of Merkel and Schultz. He talks more sense, MERKEL should leave ASAP, otherwise far right will gain more power. Neither Muslims nor anyone else have the right to demand changes to the laws of their host countries. Conform to the laws or go back to your native country. Jens Spahn sounds like a breath of fresh air next to Merkel. Even more encouraging than his recent article on Macron's toughening program. however overdue - to the danger of supremacist Islam in Germany is very heartening. threat to the parent continent of a majority of its people. Germany needs relief from Merkel's appeasement to foreigners. Spahn's leadership would be positive for Germany. He is so correct when he states that migrants to Germany must understand and be agreeable to "Germany First" and not expecting to live in Germany,supported by German tax payers, while they, the migrants, concentrate upon resisting being lawful and law-abiding citizens of Germany, tolerant of other faiths, and with single loyalty to Germany. Let's hope that common sense will eventually prevail in Germany, even though yesterday was too late. To sacrifice the most industrious nation in Europe at the altar of multiculturalism and political correctness is one of the biggest crimes against humanity ever committed. There should be NO demands made by anyone who moves to another country. Islam isn't just a religion, but a form of politics and government. Its very name means surrender in Arabic. Finally, I finally got a good energy dose. I do not know how the end of the final round of the ratification will end. However, I suspect we have an alternate candidate to change the policy in a positive direction. And that is very good. I thank the honorable author Soeren Kern. There really should be no need to take these measures. The countries leaders should have been aware of just what they were exposing their people to by allowing things to happen as they have. Any person who reads a book is able to discover the history of the world and the changes that have occurred due to migration and conquest. Why the leaders of the West have failed to recognise the many challenges when it comes to Muslim immigration and integration is anybody's guess! How come, they don't see the obvious? Why do they ignore the blindingly obvious? It makes no sense to allow Muslims to carry on as they are doing in Europe. They make no effort to integrate at all. They attempt to force their medieval values onto the host nation and yet are not prepared to take an active part in the society outside of their own communities unless it is of a benefit, to do so. We are aware that some are professional people who are willing to contribute, but unfortunately, the majority don't want to. People have the right to follow their own religion, no one can argue with that, many other religions have done this for centuries in Europe. Muslims and the Islamic belief system are in no way compatible with any other religion at all. For some deluded reason, the Muslims consider themselves superior to everyone else. We know they aren't and one day they'll begin to wise up to that. But the mistakes by European leaders have been made. It is their fault that the situation is as it is today, they made no attempt to make the Muslims aware that some of their practices are just not acceptable. On top of that, they saw what was happening regarding ghettos and segregated communities sprouting up in towns and cities and didn't question why. Even when money came into the country to finance Mosques and "Islamic Schools and Community Centres" nothing was done! It's Western leaders who have inflicted this on to the people. More has to be spent across society to protect the people from terrorist attacks, due to demands many people are forced to eat Halal food because producers are failing to label properly. The thing that I still don't understand in Britain, is why the animal rights protestors and animal charities are not complaining about the ritual slaughter of animals. The situation is getting critical and with luck maybe just maybe the German people may wake up and see the error of Angela Merkel and the damage she has inflicted on them and their country and ultimately to the whole of Western Europe. With the aid of the useful idiots within the EU parliament! Finally, a voice of sanity..Muslim immigrants must be taught that they have to conform to OUR laws and customs..NOT the other way round. Saw him in different talk shows. A bright intelligent & very realistic man. 37 years old, an eloquent speaker and a no nonsense guy. Great choice for Germany and a great replacement for tired Mutti Merkel. Jens Spahn's promotion to German Chancellor and head of the CDU cannot come to soon if Germany wants to avoid its fate of becoming an Islamic state. Very interesting, Mr. Kern! I didn't know that the actions by Hungary's leadership were actually written into EU law. All the flack that the leadership anywhere goes through when they decide to protect the security of their borders (if their nation comprises a portion of the outer limits of the EU border, itself!) gets hysterical. I think it a certain miracle of sorts that any EU nation actually has a candidate that wants to fight back against the Schengen Borders immigration scheme and has developed a backbone bunker mentality!!!! It will be even more interesting to see Merkel's counterattack. I just have one contention. Anyone who uses the word "phobia" in discussing rational measures to curb Islamic traditions and values such as "burkhaphobe" are completely misunderstanding exactly what a phobia is. A phobia is an imaginary, unrealistic fear of something that has no obvious history of being dangerous. Women have been known to participate in terror attacks by hiding bombs under their burkha robes. Being concious of the danger is NOT unrealistic or phobic. It is sad and very shameful that we have to recognize that reality and be sure to prevent female martyrs from taking innocent lives. It is now a matter of public safety everywhere, and the terrorists who hide behind burkha-wearing females are the highest order of criminal. It's true of course that there isn't really any such thing as an islamaphobe or a burkhaphobe. What Spahn (and others I have seen) are doing by taking on the title of phobic is turning the tables on those who use these labels as a way of shutting down discussion. By saying yes I am an Islamphobe I am a Burkhaphobe it renders the ad hoc accusations of the PC crowd completely powerless and opens the door to actually talking about these issues seriously. In the hope that this wretched woman can be ejected, no one could do more damage to Western Europe than her. The civilised West has had enough. This is good news. The Germans need political leaders who are proud of their culture and heritage, excluding the Nazi era. This self loathing destruction of their culture and embracing of the Islamic totalitarian system has to stop by applying some common sense policies. Merkel should be retired ASAP. Time to take back the high ground. These are very interesting policy positions. If Germany is able to get this through they could easily set the tone for other EU countries. This will go a long way to diffusing the coming clash of civilisations that will without doubt lead to civil war. I hope to be wrong, but civil war in Europe is inevitable. Islam vs Europe. It could even start with Turkey's attacks on Greece: they have been attacking Greek islands claiming the are by rights Turkish. Difficult to understand that claim, however. So both internal and external pressures can rupture the vessel and all containment will be lost. The question: what will the Muslim countries do?